Yamaha has released Version 1.5 of Yamaha Synth Book, which features a Virtual Analog Synth + the (first) 40 years of Yamaha Synths history in a free iOS app. What is surprise? - Was ist Überraschung? Überraschung ist wenn man von der Regierung nichts erwartet und dann noch entäuscht wird. 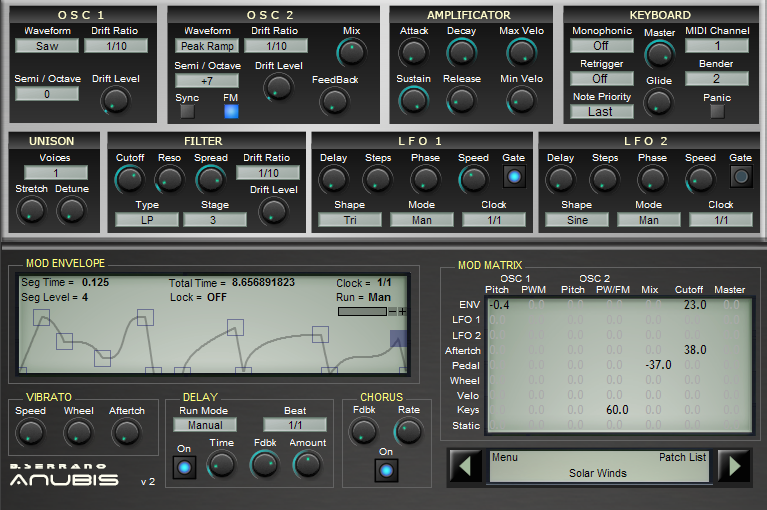 B.Serrano has announced the release of Anubis 2, a free VST synthesizer plugin for Windows. Same waveforms as Dionysos with sync & FM. 1 Mod Envelope up to 32 stages.